The proposed new Constitution is nothing new and not something brought in a hurry. It started in 2015, Health Minister Dr. Rajitha Senaratne said. Speaking at a press conference at Temple Trees yesterday afternoon, he said there is no draft as yet, and there is only a set of proposals. It will become a draft at the end. It will be presented to Parliament and its passage will require a two-thirds majority in Parliament and approval from the public by referendum. “I do not talk politics with President Maithripala Sirisena anymore and we came together from one camp, but now we are in two camps. I take decisions with my political camp,” the Minister said. He said he met popular cricketer Kumar Sangakkara to discuss a health project. “I told him that this is an election year and therefore no health projects can be implemented at the moment. The meeting lasted only 10 minutes,” the Minister said. 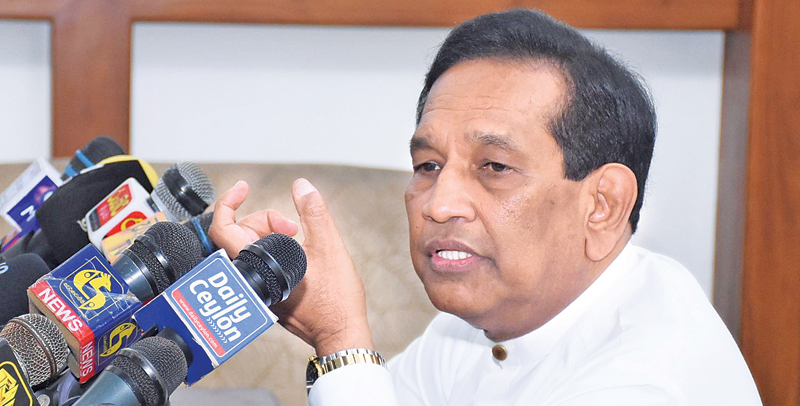 Responding to a question posed by a journalist, Minister Senaratne said private hospitals will be regulated soon and the relevant gazette notification is now being prepared. The final draft of the regulation was presented two days ago.